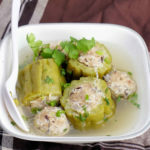 The soup is originally from Central Vietnam city, Hue. 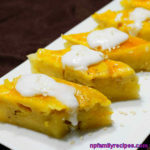 It’s a popular Vietnamese soup and known for its spicy, salty and little sweet tastes and predominant flavor of lemongrass. 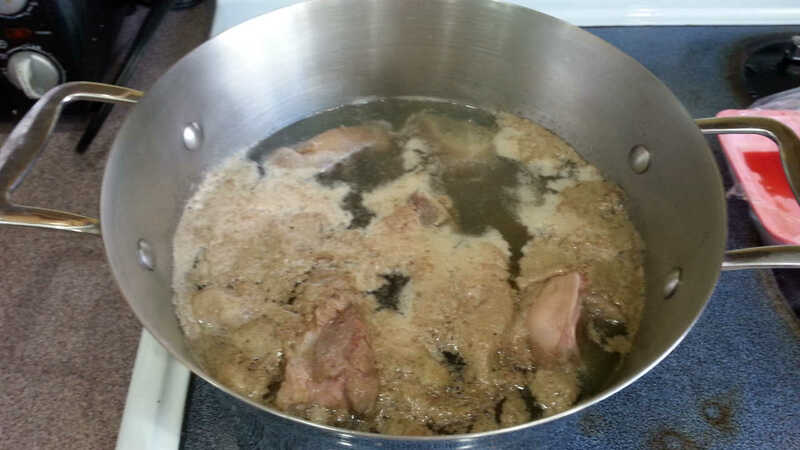 Generally, the main ingredients to cook the broth are beef bones, pork hocks, beef flank or beef chuck roast. 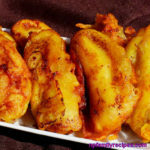 The dish can be made as spicy as you would like, or it could be made as non-spicy for kids to enjoy. For those that like it really spicy, you can add sautéed chili. 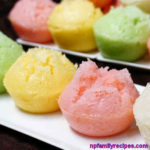 You can also use pressure cooker to speed up the cooking without compromising the taste. 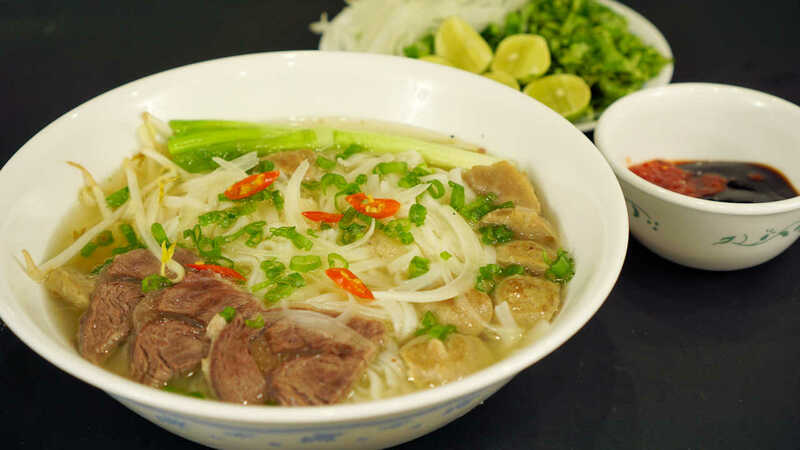 For other popular beef soup, you can try this recipe, Vietnamese Beef Noodle Soup Recipe (Phở Bò). 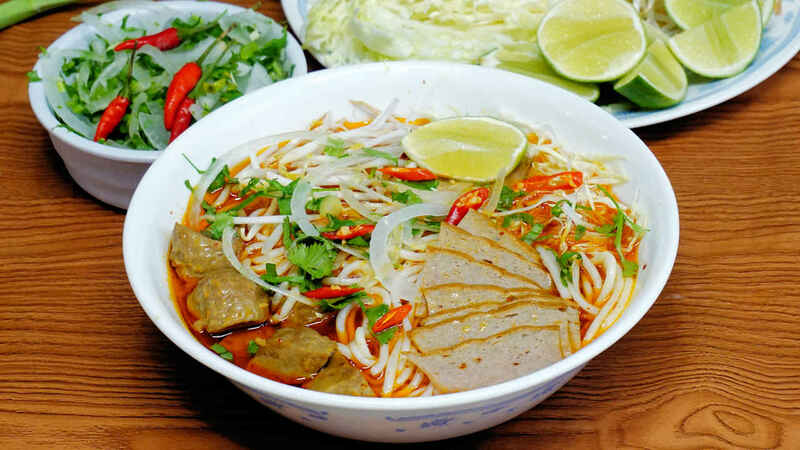 Vietnamese spicy beef noodle soup is originally from Central Vietnam city, Hue. 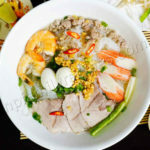 It’s a popular Vietnamese soup and known for its spicy, salty and little sweet tastes and predominant flavor of lemon grass. 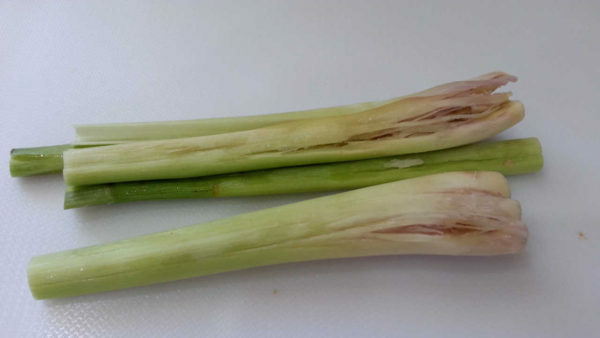 Cut lemongrass stalks into 4 inches. Smash, bind them up, and set aside. 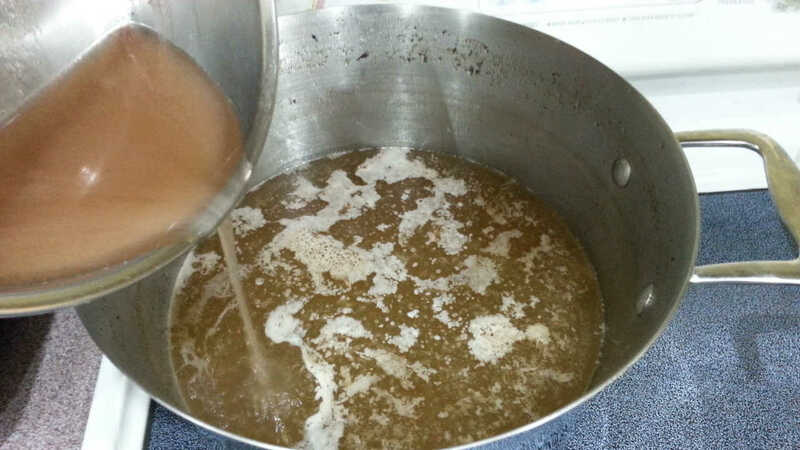 Bring 1 gallon of water to a boil on high heat. Add beef bones, beef chuck roast, and pork hocks. Cook for 8-10 minutes or until all the impurities rise to the top. Dump out the whole pot. 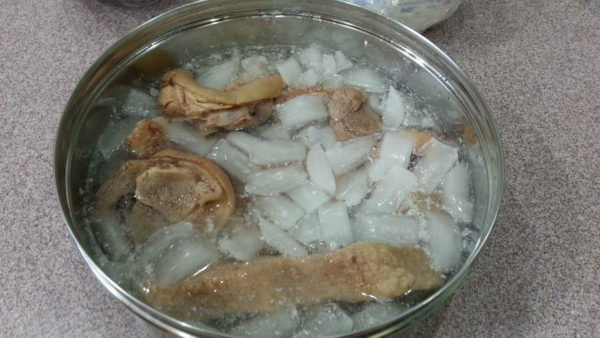 Wash the meats and bones carefully. Place them in a stock pot. Fill with water until covered (about 1 1/2 gallon). Add lemongrass, pineapple, yellow onion, salt, sugar, and mushroom seasoning. Cover the top and simmer for 1 hour. Wash the mints and bean sprouts carefully. Cut limes into wedges. Chop green onion finely. Cut cilantro coarsely. Slice yellow onion thinly. Cut white cabbage and purple cabbage thinly. Set aside. 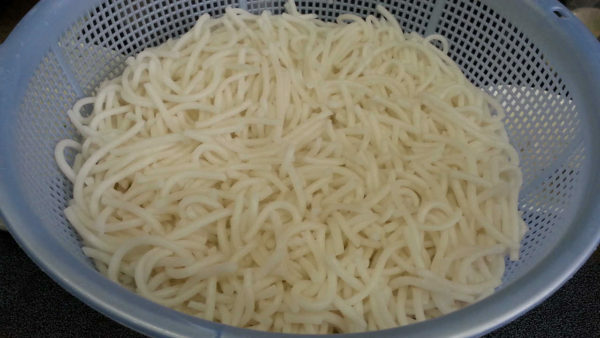 Cook noodle following the instruction on the package. Rinse and drain well. Back to the broth: After an hour, take the lid off. 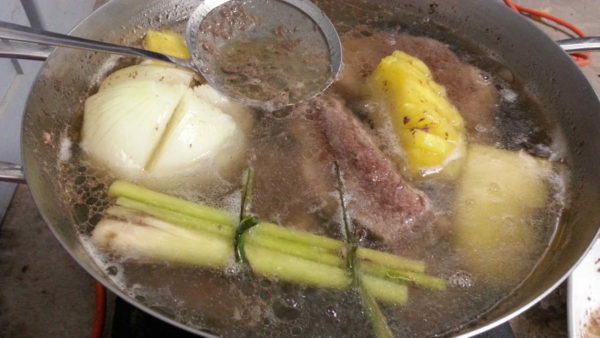 Remove the pork hocks and beef chuck roast. Place them in the icy water. 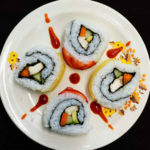 (This will prevent the meat from turning black). Drain well. Discard yellow onion and lemongrass. 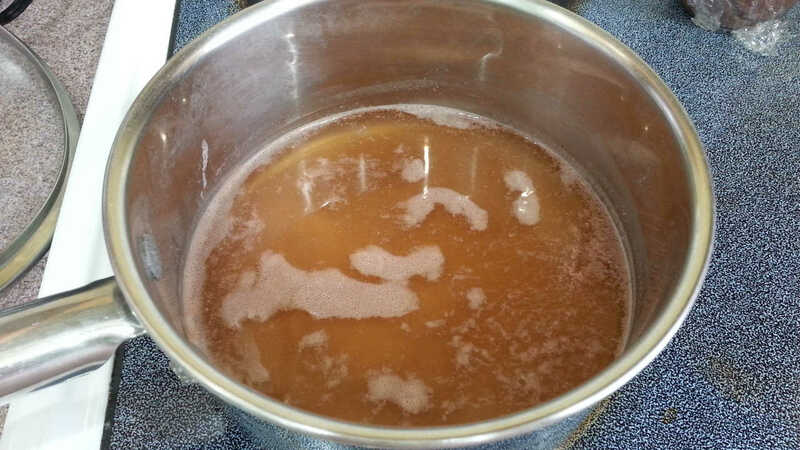 Once again, Cover the top and continue to simmer the broth for a half of hour or more if you have time. Remove the bones. Pour only the clear water in the shrimp paste pot into the broth. Heat a saucepan over medium heat. 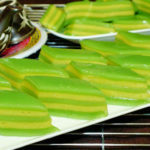 Add vegetable oil, minced shallot, and minced lemongrass. Stir fry for 2-3 minutes or until fragrant. 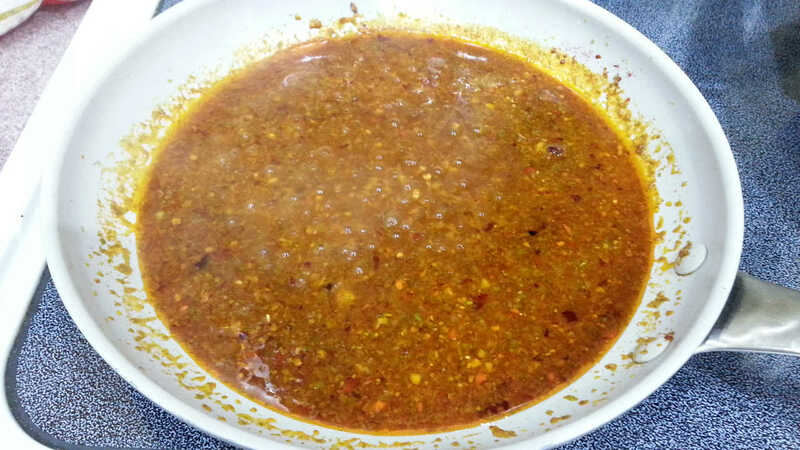 Add hot chili powder. Continue to stir fry for 3 seconds. Ladle the broth into the mixture. Add sugar and fish sauce. Cook for 2-3 minutes. Remove from heat. 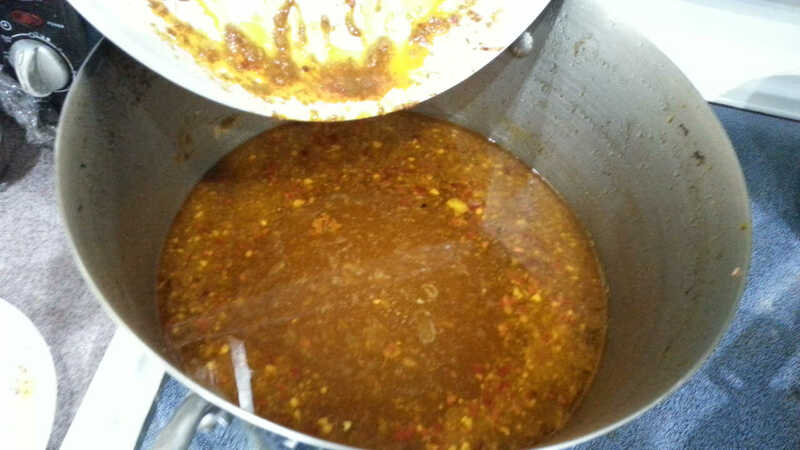 Pour a half amount of sate’ sauce into the broth pot. The remaining is for garnish. 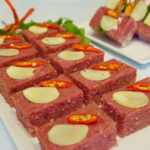 Cut Vietnamese meat loaf. Slice the beef chuck roast thinly. Set aside. 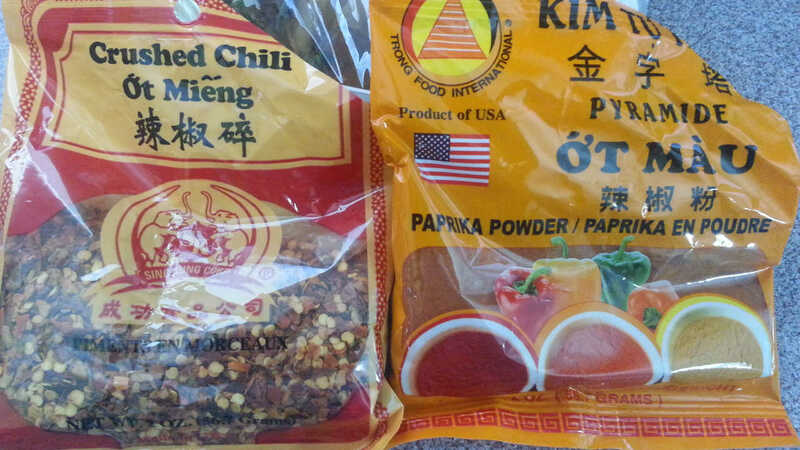 We used this chili powder and crushed chili in this recipe. Optionally, you can add one teaspoon of Spicy Beef Flavor Paste (Gia Vị Bún Bò Huế) to make the flavor even stronger. 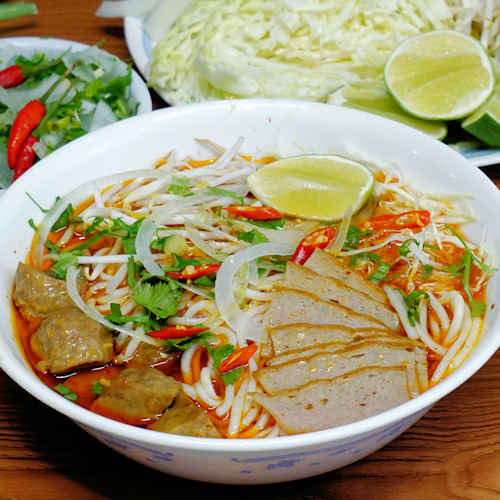 This entry was posted in All Recipes, Beef, Pork and tagged beef noodle soup, bun bo hue, bún bò huế recipe, bún bò recipe, cach lam, cach nau, giò heo, how to make, recipe, spicy beef noodle soup by NPFamily Recipes. Bookmark the permalink.